It was an experience out of the ordinary and one that is sure to be marked in the calendar of history. When six kids go out on their way sniffing for adventure, what they find is more than what they bargained for. Deep in the woods there lies a secret that is yet to be revealed. Hidden in a mansion, guarded by three brainless but beefy giants, a scientist is busy at work trying to uncover facts that lay hidden for many years. A sweet little lass who is suspected to be of alien birth is kept imprisoned in a room in a room while the scientist uses her as a guinea pig in his experiments. Things run smoothly and he is on the verge of getting through to what he had been dreaming to achieve for years when trouble hits in the form of six mischievous children. Pitasakwala Kumarayai Pancho Hathai is Cinemaya International’s latest presentation. 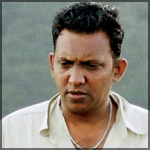 The film is directed and scripted by Sirimal Wijesinghe. 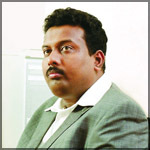 Dushyantha Mahabaduge is the producer. Prabath Roshan is the cameraman while the editing was handled by Ravindra Guruge. The film includes six songs penned by Ajantha Ranasinghe, Kularatne Ariyawansha and Kelum Srimal and set to melody by Rohana Weerasinghe, Navaratne Gamage, Mahesh Denipitiya and Ajith Kumarasiri. The music is directed by Aruna Lian. Sunil Perera, Nirosha Virajini, Uresha Ravihari, Iraj Weeraratne, Jaya Sri, Mohan Dharshana, Stella Amadi Arachchi and Leslie Thomas have rendered their voices for the songs. 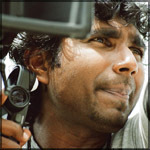 The art director is Welagedara Ranasinghe. Costumes are by Pavithra Dissanayake and Iroshani Kalpage. Sanath Gunatileke, Dilhani Ashokamala, Janaka Kumbukage, Nilanthi Wijesinghe, Suminda Sirisena, Ishan Samsudeen and many others make up the cast. Pitasakwala Kumarayai Pancho Hathai will unspool at Regal cinema from July 24. It is a tale of bitter truth. A gamble for survival. There was once a belief that an event does not take place without a reason. Peacemakers like Mahatma Gandhi had once walked this earth but similarly so had rebels and tyrants like Hitler, bin Laden and Prabakaran. Sandaluthalayen Eha is scripted, produced and directed by Gamini Pushpakumara who had also penned the lyrics. The story is centred on a young man, a graduate, who is falsely accused of being a terrorist. Though all charges are cleared he finds that the attitude of the society had changed during his period he had been imprisoned. According to Pushpakumara his film explores the fact that the most qualified people are not given the suitable position in life. It is only those who achieve status through bribery, chicanery and corruption who reap the benefits in life and had become the root from which all the social issues have erupted. 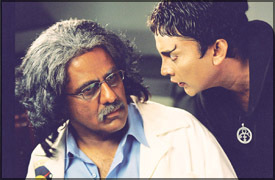 Another significant fact is that male actors had been caste for the film. This will be the first film in local and international history that does not include female roles. Jagath Beneragama, G.R. 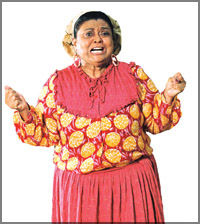 Perera, Asela Jayakody, Buddhika Indurugalla, Mapalagama Wimalaratne, Kapila Sigara, Dedunu Pitiya, Dilip Wickramasinghe, Bokaragoda and others are included in the cast. Sandaluthalayen Eha will start screening at the National Film Corporation’s Ritma Theatres and LFD Theatres from August 1. ‘Kung Fu Panda’ is a 2008 animated film about a bungling panda who aspires to be a kung fu warrior. The movie is directed by John Stevenson and Mark Osborne and produced by Melissa Cobb. The film stars the voices of Jack Black, Jackie Chan, Dustin Hoffman, Angelina Jolie, Lucy Liu, Seth Rogen, David Cross, and Ian McShane. Enthusiastic, big and a little clumsy, Po is the biggest fan of Kung Fu around...which doesn’t exactly come in handy while working every day in his family’s noodle shop. Unexpectedly chosen to fulfill an ancient prophecy, Po’s dreams become reality when he joins the world of Kung Fu and studies alongside his idols, the legendary Furious Five-Tigress, Crane, Mantis, Viper and Monkey- under the leadership of their guru, Master Shifu. But before they know it, the vengeful and treacherous snow leopard Tai Lung is headed their way, and it’s up to Po to defend everyone from the oncoming threat. Can he turn his dreams of becoming a Kung Fu master into reality? Po puts his heart into the task, and the unlikely hero ultimately finds that his greatest weaknesses turn out to be his greatest strengths. ‘Kung Fu Panda’ is screening at Majestic Cinema.